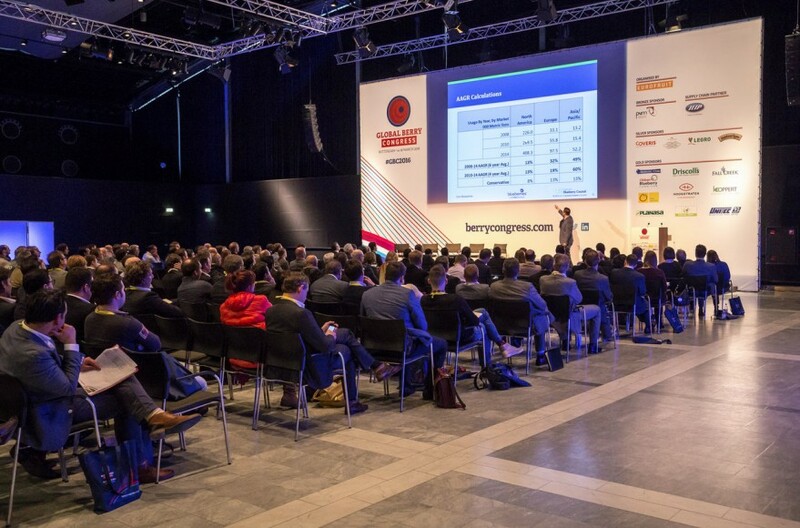 The challenge with any conference and networking event is to provide something new, interesting and insightful, and I’m confident we are going to achieve that goal with this year’s Global Berry Congress, which returns to the World Trade Center in Rotterdam on 27-29 March. The challenge, in effect, is the same for the international berry business itself: following two decades of considerable success, with impressive sales growth and category expansion in markets old and new, the industry’s suppliers, marketers and retailers are under continued pressure to identify more room for growth and then develop strategies to make that growth a reality. As the international berry market evolves, we feel that this year the need to track emerging consumer trends is a priority for the berry business. For that reason, consumers will be at the centre of our discussions in Rotterdam: we want to pick out new trends, demands and behaviour among berry consumers; highlight strategies for securing further growth; identify opportunities to sell more berries in emerging markets; find out how consumer preferences are influencing new product development; learn about new technologies that can improve berry supply lines; and keep an eye on those new sources of berry production that might help the trade satisfy growing demand. To that end, we’ve invited Pippa Bailey of leading consumer polling company Ipsos Mori to present new research – specially commissioned for this year’s event – that we hope will illustrate how consumer perceptions in relation to berries might offer new opportunities to increase sales in future. In addition, retail expert Bryan Roberts of TCC Global will outline the major new trends as far as grocery shopping are concerned, with other panellists offering an industry view on where the global berry business is heading in the next couple of years. 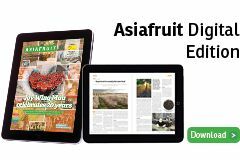 As the star performer in terms of growth in the international fresh produce business over the past decade, the idea of selling more berries might not appear so difficult. But it’s by no means certain that sustaining such impressive growth in the next ten years will be easy. Taking a more in-depth look at those markets where fresh berry sales show signs of increasing future potential, our second plenary session will focus on emerging opportunities for international suppliers, with a special case study on Yiguo, an emerging player in China’s e-commerce sector which is focusing on online retailing of fresh food including berries. Then, our attention will turn to more practical methods for achieving success in the category: we’ll hear from Belgian group Special Fruit about how an inventive and innovative approach to merchandising can generate more excitement among consumers; and we’ll learn from Stephan Weist of German retailer Rewe Group about the importance of regional branding and connecting with consumers online. Later in the day, our final session will begin with market data analyst Mihai Ciobanu of Fresh4cast tracking recent changes in supply and demand as the fresh berry market continues to expand. Then we will take a more detailed look at new international sources of berry supply, calling on newly appointed chairman of the International Blueberry Organization Peter McPherson of Costa Group, Yulei Zhao of Chinese grower-marketer Haisheng, Branko Bajatovic of blueberry company Bluemond and international berry trade expert Ian Simmons of ITS Associates/Fresh Concepts Asia to highlight those parts of the world where the development of new sources has the potential to meet growing demand in existing markets or even generate new demand in emerging ones. This year’s programme also offers a new angle on a variety of key topics for the berry industry. We have invited rival technology suppliers from the fields of quick-freezing and mechanical sorting and grading to present their ideas head to head, with each putting forward the case for investing in solutions that could potentially improve berry supply lines and therefore be more in tune with consumer demand. Elsewhere, we’re going to tackle the issue of labour provision, asking Marion Durose of UK-based group Safe Space how key players in the berry business can gain a competitive advantage by ensuring their workers are treated well, then turning to Tom Coen of Belgian company Octinion to ask how technology might be used to automate berry harvesting. In addition, Global Berry Congress will feature two product-specific workshops – one on blueberries hosted by Cort Brazelton of Fall Creek and Peter McPherson, the other on raspberries involving Alexandre Pierron Darbonne of Planasa and Gerard van Loon of The Greenery – to allow delegates a more in-depth look at how the supply, demand and marketing of these two product lines are developing at an international level. And we’ll have a special workshop on honeyberries, one of the most interesting and promising new berry products, and one that looks set to make an impact in the market during the coming years. Logie Cassells of Canada’s LoveHoneyberry will be joined by Jan Marc Schultz of Dutch importer SFI Rotterdam, Janja Postružnik of Slovenian producer Haskap and Peter Stremer of the Landwirtschaftskammer Nordrhein-Westfalen to discuss the new berry’s future potential.